The four main disease risks are Leishmaniasis, Babesiosis, Ehrlichiosis and Heartworm. All are potentially life-threatening and so must be carefully considered before travel. These diseases are all transmitted to pets when they are bitten by an infected insect (an insect which spreads a disease in this way is known as a vector). Different insects, or vectors, spread different diseases. With the exception of Heartworm, the only way to protect your pet from catching the disease is to prevent it being bitten by the vectors. Therefore, it is useful to know the feeding habits of the vectors and where they are likely to be found. The tables below give information about these diseases and their insect vectors. The lists of geographical areas mentioned in the tables are not exhaustive. Also, high-risk times of day or year may be noted in the tables, but vectors will also feed outside these peak times. These diseases principally affect dogs, but cats may also be affected. 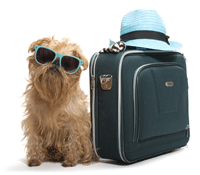 Whenever you are travelling abroad with your pet it is sensible to seek the advice of a local veterinary surgeon with regard to preventative health, as he or she will best know the local disease risks. If your pet falls ill while you are abroad you should seek veterinary assistance as soon as possible. It is worth finding out about local vets in the area before travelling, especially if the language is going to be a problem. Vets most commonly prescribe the antibiotic doxycycline to treat ehrlichiosis in dogs. It is typically given once a day for three to four weeks. Other medications can also be used when the situation warrants. If a dog receives treatment in a timely manner, his condition will usually begin to improve rapidly, often within just a day or two, and the prognosis for complete recovery is good. In more severe cases, additional treatments (e.g., intravenous fluids, blood transfusions, immunosuppressive medications, and/or pain relievers) may also be necessary. Dogs with heartworm disease will initially receive treatment needed to stabilise their condition. They will then be given medication to kill circulating microfilariae, and most will undergo a series of three injections over a month’s time to kill adult worms in the heart and lungs. Hospitalisation when these injections are given, and possibly at other times, is necessary so that your vet can watch closely for side effects. Prednisolone and doxycycline are also typically prescribed to reduce the chances that the dog will react badly to the death of the worms. Other treatments may be needed based on an individual dog’s condition. If a dog has caval syndrome, a surgical procedure will be necessary to remove adult worms from the right heart and pulmonary artery by way of the jugular vein. 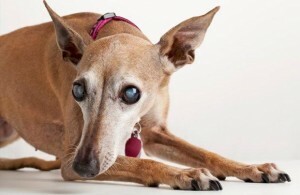 Most dogs with caval syndrome die regardless of treatment. All of the above products can be supplied by our clinic. Please note that for licensed veterinary products to be dispensed, your pet needs to be under our care which may require a clinical examination if we have not seen your pet for some time. To encourage awareness of Feline Hypertension this month we are offering the owners of all cats over 8 years of age with no previous history of hypertension a FREE Screening test with one of our nurses. Hypertension, or high blood pressure, usually occurs in cats secondary to other diseases. The most common diseases to cause high blood pressure in cats are chronic renal failure (kidney disease), hyperthyroidism and anemia. Cushing’s disease and certain forms of cancer can also cause high blood pressure. 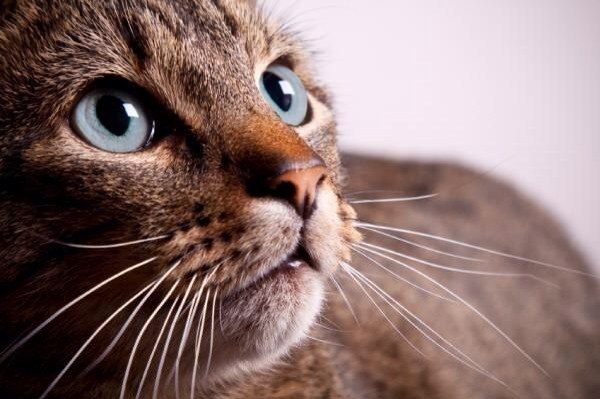 Hypertension is a serious problem in the cat, as it can cause blindness and strokes, just as in people. The first symptom seen is usually sudden blindness from retinal detachment – the high blood pressure literally blows out the back of the eye. If retinal detachment is caught early, with prompt and aggressive drug treatment the retina will sometimes reattach itself at least partially, and some vision will be restored. Many cats, however, will be permanently blind as a result. Owners will sometimes notice the cat’s pupils are fixed and fully dilated, or only respond very slowly and sluggishly to light. This is an emergency situation which should be treated as soon as possible. plunger, the cat’s blood pressure is probably very high. 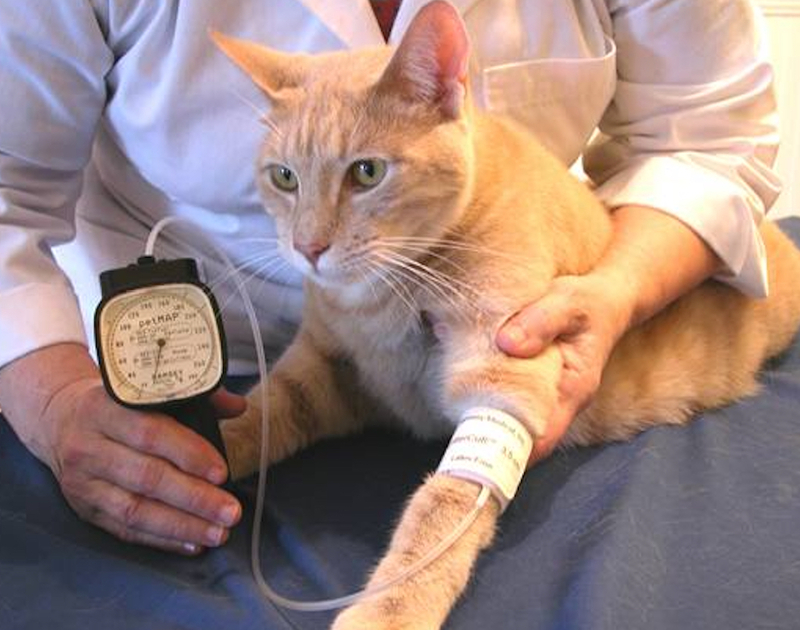 Although blood pressure measuring is important to monitor, it can also be difficult to do accurately in cats. Most cats are stressed and nervous at the veterinary clinic, and some are hostile. Blood pressure readings will probably be higher than they would be if measured when the cat was at home in its own environment. If a cat is aggressive or terrified, readings may not be possible at all. We will advise you as to whether an accurate blood pressure reading is possible in your cat. We try to make the experience as stress free as possible, in a quiet room. The measurement itself is painless, just as it is in humans, but the cat may be frightened by the procedure. The cat needs to be held still, and a Doppler monitor is used to get the measurement. The monitor makes a noise which may frighten to some cats. The feeling of the cuff on the leg also makes some cats nervous, as does being held. The goal of treatment is to decrease the blood pressure gradually to avoid a sudden decrease in blood flow to the kidneys, which will make kidney disease worse. In cats with chronic renal failure and high blood pressure, the pressure should be rechecked every 3-7 days, depending on how good the first reading was. Once two good readings on two successive visits are obtained, the cat is considered stable on the medication. The blood pressure is then rechecked along with kidney blood testing about every three months. Drug treatment will be necessary for the rest of the cat’s life. There are two medications commonly used to treat hypertension. Amlodipine is usually tried first. If the response is not adequate, we may switch to benazapril. Occasionally, a cat will need both amlodipine and benazapril to control the high blood pressure. For cats with chronic renal failure but a normal first blood pressure check, rechecks are recommended every 6-12 months. Hypertension may show up later in the course of the disease, as kidney function gradually worsens with time. In cats recently diagnosed with hyperthyroidism, the blood pressure may be high. If affirmative we will prescribe a two to three week course of blood pressure medication for the cat while the thyroid level is coming down in response to treatment. Once the thyroid level is back in the normal range, the medication can usually be stopped. 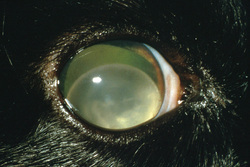 Cats that have already suffered blindness or visual impairment from hypertension usually get around well in their own home with some modifications to the environment. Your cat may not be able to find its way to the basement litter tray any more but blind cats rarely stop using the tray as long as it is accessible to them. Be sure the food and water bowls are also accessible without climbing or jumping. Dabbing some perfume or cologne on table legs and doorways once a week at first with help your pet to smell where it’s going and makes navigation easier. Be sure to call us if you have trouble administering your cat’s medication or you notice any change. We are always glad to help! Hearing your vet announce that “your pet has a heart murmur” can be very daunting. However, the significance of a murmur very much depends upon the situation. Just as a fever can be something or nothing, a murmur may be similar – it may be insignificant, but it could also be a symptom of a disease that requires treatment. So, first of all, what is a heart murmur? 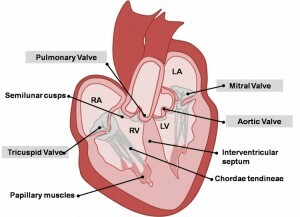 Each of the four valves in the heart act as non-return valves, permitting blood flow in one direction (forwards). 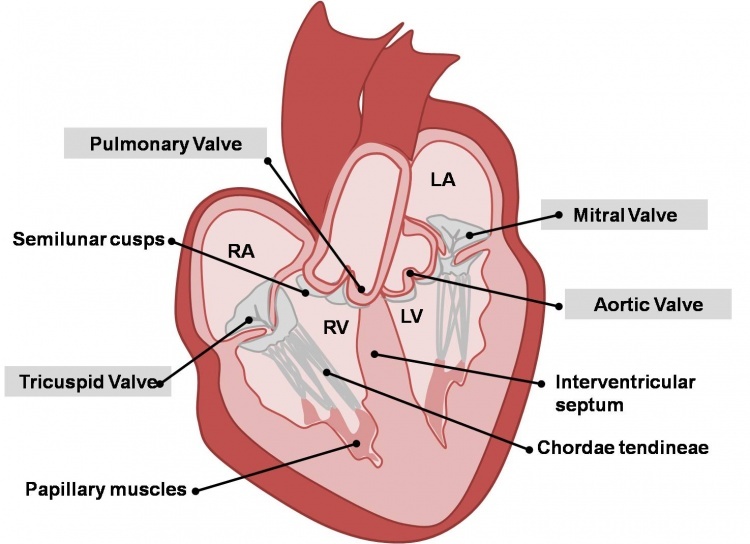 If a valve becomes faulty and no longer prevents backflow, then there is a resultant backward squirt of blood through the gaps in the valve with each heartbeat. This backward squirt of flow through an incompetent valve results in an abnormal heart sound called a heart murmur. A murmur thus sounds like a ‘squirting’ or ‘gushing’ sound during each heartbeat. The most common cause of an incompetent valve in older dogs is Mitral Valve Disease, or Endocardiosis, as it is also known. A murmur can also occur through a hole in the heart – the murmur is caused by the squirt of blood going through the hole. A hole between the left ventricle and right ventricle results in a squirt of blood being pushed through the hole when the heart ventricles pump (this is called a Ventricular Septal Defect (VSD)). A hole between the aorta and pulmonary artery (the two major arteries leaving the heart) results in blood squirting through the hole (this is called a Patent Ductus Arteriosus (PDA)). In puppies less than 6 months of age, in addition to murmurs produced by congenital defects, puppies can have innocent or benign murmurs – often called a puppy murmur. These occur due the fast flow of blood in such a small heart. As the puppy and its heart grow and mature, then the murmur gradually disappears. It is virtually impossible for a vet to discern the difference between a puppy murmur and a congenital defect. If a murmur persists beyond 6 months of age, it is more likely to be a congenital defect. 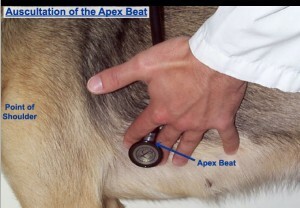 A murmur can also be produced when a dog is anaemic and the blood thin. In this situation, thinner blood (less viscous) results in a faster speed of flow and thus a murmur. A similar situation can occur when a dog is ill for other reasons, such as during a fever. Nearly always, an ultrasound scan (echocardiography) is the best way to diagnose a murmur. But sometimes additional tests are also required, such as chest x-rays, ECG or blood tests. Echocardiography is a difficult and skilled examination that is best performed by an experienced clinician. What is special about cystitis in cats? Unlike dogs and people, cystitis in cats is frequently caused by stress rather than by an infection. Whilst cystitis in female cats is painful and upsetting, it can actually turn into a life-threatening condition in tom cats if the urethra (the way out of the bladder) is blocked up by swelling, blood clots or crystals. Those cats are absolutely unable to pass urine, which leads to the bladder overfilling. This in turn causes back-pressure which can ultimately lead to kidney failure and collapse. Any male cat that seems unable to pass urine should be seen by a veterinary surgeon immediately. There are several other reasons why cystitis may develop, and these include bladder stones, tumours or toxic cystitis. Such cases are uncommon, however. The clinical signs are very often already suggestive of cystitis. To rule out other causes and to identify which type of cystitis is affecting your cat, a general physical examination and also further tests, such as a urine analysis, are usually necessary. In some cases blood tests, radiographs/ultrasound examination or other tests may be required, too. How is cystitis in cats treated? If stress-related cystitis is diagnosed, the treatment usually consists of pain relief, relaxation of the cramped bladder muscle and glucosamines, which seemed to soothe the sore inside layer of the bladder. We also strongly advise that cats which are prone to cystitis are fed only on wet food. This is an exception to the general rule, as we usually recommend feeding cats and dogs on dry food. However, we know that the overall water intake for the patient is better when wet food is given, and a slightly more dilute urine can help to prevent further episodes of cystitis. If possible, small amounts of water can be added to the wet food or the cat may be encouraged to drink by flavouring the drinking water with small amounts of something tasty e.g. salt-free chicken broth or tuna. Anything that increases the water intake in such cats is beneficial. Male cats that are unable to pass urine often need much more intensive treatment. Usually such patients need an emergency general anaesthetic to allow us to unblock the bladder and achieve urine flow. In some cases, especially if the problem has been overlooked for a little while, intensive care may be necessary for several days and unfortunately not all cats with this condition manage to pull through. The earlier the condition is treated, the better. My cat has cystitis – what is the outlook? While some cats only ever have one episode of cystitis in their life, once a cat has developed stress-related cystitis he or she is prone to develop further episodes when stressed. It is advisable always to feed such cats on wet food and encourage drinking as much as possible. It is also important to monitor such cats closely – this applies especially to tom cats as they are prone to becoming blocked. In some cases ongoing management or medication is required. Can dogs get this type of cystitis? Dogs do not get the stress-related type of cystitis which we see in cats. They certainly can develop cystitis, but it is usually due to an infection or other underlying cause. The signs of cystitis in dogs are similar to those in cats (see above), and if you become aware of such symptoms, you should seek veterinary advice at an early stage. The following information sheet is designed to give an overview of some common or important diseases which can be passed from cats and dogs to humans, however, the list is not exhaustive. Conditions which can be passed to humans from other domestic or exotic species are not included. In general, these diseases are of most significance to immuno-compromised people. Humans can be bitten by cat and dog fleas. The bites are seen as small, red, itchy lumps very often on the lower legs/ankles. It is important to keep cats and dogs regularly treated for fleas using a veterinary prescribed flea treatment. If humans are being bitten it is likely that the environment is infested, so the whole home should be treated as well. Make sure you follow any care and safety instructions when you spray your home. Humans can also become irritated by mites that they acquire from their pets e.g. ‘fox mange’ (Sarcoptes scabei) and ‘walking dandruff’ (Cheyletiella). Infections in humans are usually self-limiting but it is advisable to visit the doctor. Cats and dogs can be treated under veterinary care after diagnosis in their owners. 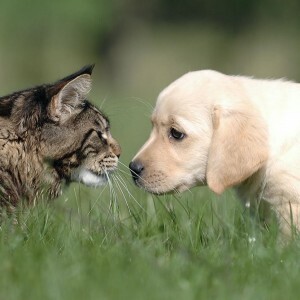 We strongly recommend that pet cats and dogs are regularly wormed. Cat worms are currently not thought to cause problems for human health but we are not certain about this. Toxocara canis is a common round worm of dogs. If children are infected by this worm, the larva can occasionally ‘get lost’ on migration within the body and cause damage to the eyes, brain and elsewhere. Monthly worming of dogs with a good quality round wormer will prevent dogs becoming infected and spreading the worm. Toxoplasmosis is of particular concern for pregnant women. This is a common single-cell parasite which only causes mild flu-like symptoms in most affected people – however, it can be critical to the health of both mother and fetus if a pregnant woman is infected. Many species of animal can be affected by toxoplasmosis, but only cats, the primary host, can spread the disease. When the spores pass out of the cat in its feces they are inactive. It takes about 24 hours of contact with air for the spores to become active or infective. This means that direct handling of an animal is not a great hazard, but pregnant women should not handle cat faeces or the litter tray. The greatest risk factors for Toxoplasmosis are gardening (i.e. handling soil), unwashed fruit and vegetables as well as undercooked meat. However, it is always recommended that pregnant women are especially careful to wash their hands after touching animals and before handling food. If you have any concerns about zoonoses during pregnancy you should discuss these with your midwife or doctor. Weil’s disease is the severe human form of leptospirosis. This is an uncommon disease in humans and it is very rare for it to be passed by pet dogs. However, if a dog is affected its urine can be infective to humans. Both dogs and humans most commonly catch leptospirosis from stagnant or slow-moving water (specifically that which has been contaminated with rat urine). The disease causes sudden kidney and liver failure. We strongly recommend that dogs are vaccinated against leptospirosis annually. Care should be taken when handling dogs’ urine and, if leptospirosis is suspected, handlers should wash their hands and ideally wear gloves. Cat and dog bites can be very serious. Wash all bites liberally under running water and always seek medical advice from your doctor as antibiotics are often required. There may also be legal implications if a dog has bitten a person – please see the UK Government website. Cat scratches can also be nasty. All scratches should be thoroughly washed. Any scratch which becomes inflamed or painful should prompt a visit to a doctor. There is a bacterium which some cats have in their saliva and on their claws called Bartonella henselae which causes ‘cat scratch disease’ in humans – symptoms include swelling at the site of infection, fever, and swollen glands. Treatment may be required, especially in immuno-compromised patients. Mast cells are normal cells found in most organs and tissues of the body, and are present in highest numbers in locations that interface with the outside world, such as the skin, the lungs and the gastrointestinal tract (stomach and bowels). They contain granules of a chemical called histamine which is important in the normal response of inflammation. When mast cells undergo malignant transformation (become cancerous), mast cell tumours (MCTs) are formed. Mast cell tumours range from being relatively benign and readily cured by surgery, through to showing aggressive and much more serious spread through the body. Ongoing improvements in the understanding of this common disease will hopefully result in better outcomes in dogs with MCTs. This is unknown, but as with most cancers is probably due to a number of factors. Some breeds of dog are predisposed to the condition, and this probably suggests an underlying genetic component. Up to 50% of dogs also have a genetic mutation in a protein (a so-called receptor tyrosine kinase protein) which inappropriately drives the progression of mast cell cancer cells. Some breeds tend to get MCTs more commonly in certain locations, but more importantly MCTs sometimes behave in a certain way in certain breeds. For example, Pugs are renowned for getting large numbers of low-grade (less aggressive) tumours, and Golden Retrievers commonly get multiple tumours. Boxers with MCTs are generally younger than other breeds, and more commonly have lower-grade MCTs with a more favourable prognosis. In contrast, Shar-Pei’s usually get aggressive high-grade and metastatic (spread to other sites) tumours, often at quite a young age. MCTs in Labrador Retrievers are also frequently more aggressive than in other breeds. Cancerous mast cells contain 25 to 50 times more histamine than normal mast cells. Histamine is a very inflammatory chemical, and therefore explains why some MCTs wax and wane or suddenly increase in size due to inflammation – especially after they have undergone biopsy/needle aspiration (see diagnosis). Histamine also causes the stomach lining to produce more acid – this can result in stomach ulcers, causing signs such as vomiting or black, tarry stools (this appearance is due to the presence of digested blood coming from the ulcer). Can we predict whether a dog will do well or not do well due to their MCT? No single factor accurately predicts the biological behaviour or response to treatment in dogs affected by MCTs. Various clinical factors can influence the outcome, such as whether it has spread, potentially the breed and also the tumour location. Tumours in the nail bed, inside the mouth, on the muzzle, in the groin area and in those sites where the skin meets mucus membranes (mucocutaneous junctions), are often correlated with a worse prognosis than those in other parts of the body, although this is not always the case.The single most valuable factor in predicting the outcome for most patients is the grade of the tumour when assessed under a microscope (the histological grade). Cytology – This means looking at the cells under a microscope, and the sample for this is usually obtained by ‘fine-needle aspirate’. Fine-needle aspirates of MCTs involve taking a small sample of the tumour with a thin needle. This is generally a straightforward procedure which can be done conscious and without sedation in most patients. It should be performed prior to any surgery, because a pre-operative diagnosis of MCT influences the type and extent of surgical intervention required. Biopsy - This involves taking a larger piece of tumour tissue and sending it away to a pathologist for analysis. This can be performed to help decide on the best treatment, or it can be performed when the tumour has been removed to find out the grade of the tumour.The pathologist looks at the sample of the tumour under the microscope and performs grading to indicate how aggressive the tumour is. Low grade (grade 1) tumours and around 75% of intermediate (grade 2) tumours are cured with complete surgical excision. Unfortunately, most high grade (grade 3) tumours and around 25% of intermediate grade tumours have already spread by the time they are diagnosed (even if this spread cannot be detected on scans at the time of diagnosis). These cases benefit from chemotherapy treatment. In some dogs, further analysis of the biopsy samples is useful in determining the best management options. The tumour grade is very important in determining the appropriate therapy for dogs with MCTs. As well as performing fine needle aspiration and biopsies of the MCT to determine its grade, additional tests may be required to determine the stage of the tumour i.e. whether or not it has already spread. These further tests can include sampling of nearby lymph nodes, chest X-rays and abdominal ultrasound scanning. Which tests are performed will depend on a number if factors, and these will be discussed with you by the specialist. Surgery is the cornerstone of management of MCTs, and complete surgical removal is often curative in dogs with low or intermediate grade MCTs. However, to achieve a cure, in some circumstances a significant amount of tissue surrounding the tumour must be excised to ensure that all the tumour cells are removed. This can require a high level of surgical experience and expertise, in order to perform complex reconstructive surgical techniques and may require referral to a specialist. If complete removal is not possible, or where the tumour appears to be more aggressive (e.g. high-grade) then radiation therapy and chemotherapy treatments become more useful. The optimum treatment depends on the tumour grade, stage and other factors unique to the individual dog. as palliative treatment if a tumour cannot be removed, has already spread or if an owner does not want to pursue surgical intervention. Fortunately, the drugs used for chemotherapy in MCTs are extremely well tolerated and most owners are very happy with their dog’s quality of life on treatment. A new group of drugs called tyrosine kinase inhibitors is also available – these block proteins (called tyrosine kinases) which are found on the surface of cancerous mast cells. They can be used where tumours cannot be surgically removed or have recurred despite previous treatments. They can have some side effects, but most dogs tolerate these drugs well. In some instances referral may be recommended to an RCVS Recognised Specialist in the fields of both medical and surgical oncology. The expertise provided by a combination of medical and surgical cancer specialists has particular advantages in MCT treatment. 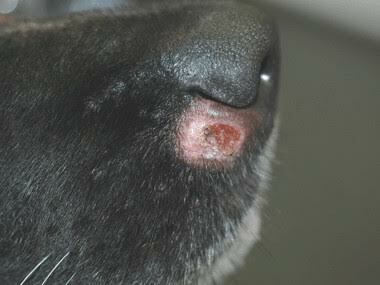 Dogs have a unique risk to develop MCTs in the skin, and they can be frustrating to manage, even for specialist oncologists. Knowing what the best treatment is for an individual dog depends on knowing the grade of the MCT and whether or not it has already spread. It is important to recognise that most dogs can survive for a long time with mast cell cancer and can be cured. However, some dogs have a more aggressive type of MCT and treatment in these cases is of a more palliative nature, trying to improve patient comfort and life expectancy, but without being able to achieve a cure.